WE WORSHIP ON SUNDAYS AT 9:30 A.M.
FELLOWSHIP FOLLOWS AT 10:30 A.M.
WITH BIBLE STUDY BEGINNING AT 11:00 A.M. 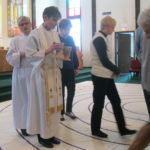 LENT BEGINS THIS WEDNESDAY, MARCH 6, 2019: We will be worshipping together with Our Saviour, at Holy Trinity in Brunswick at 7:30 p.m. with a traditional Ash Wednesday service with imposition of ashes. 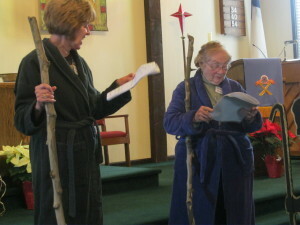 Throughout Lent, Living Word will hold mid-week Lenten services each Wednesday at 7:30 p.m. The service is a quiet, peaceful and meditative one which also includes the lighting of candles representing our prayers for others. 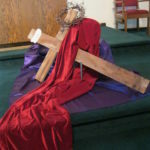 During Holy Week, we will again have a joint Maundy Thursday worship on April 18, with Holy Trinity at Our Saviour in Hinckley, Our Good Friday worship at Living Word will be on the 19th at 7:30 p.m.
We will worship the Risen Christ on Easter Sunday, April 21, at 9:30 a.m. with breakfast for all following. Our hope and prayer is that these opportunities to worship are more than just something to do but rather a means of drawing closer to God. THANKSGIVING: A special service of thanks will be held on Tuesday, November 20, at 7:30 p.m. We have again invited the congregations of Holy Trinity in Brunswick and Our Saviour in Hinckley to join us. After worship we will enjoy fellowship with lots of traditional holiday pie. All are welcome!! We will be marking Ash Wednesday with a joint service at Our Saviour Lutheran Church, on Rt.303 in Hinckley, on February 14, 7:30 p.m. This special service will include communion and the imposition of ashes. On Thursday, March 29, 7:30 p.m., we will gather at Holy Trinity Lutheran Church on Pearl Rd. in Brunswick for Maundy Thursday worship. A very special Good Friday worship will be held at Living Word on March 30, at 7:30 p.m. 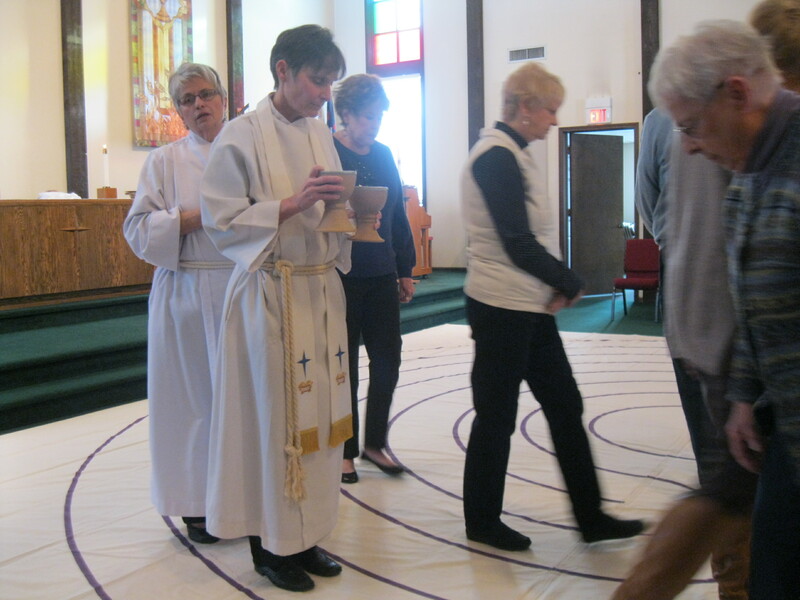 Thanks to Peggy Tampson and the Worship Committee for providing a temporary Labyrinth to use in our sanctuary. It is used to facilitate prayer, confession, meditation and spiritual transformation. It came to us on loan from Trinity Episcopal Cathedral in Cleveland. 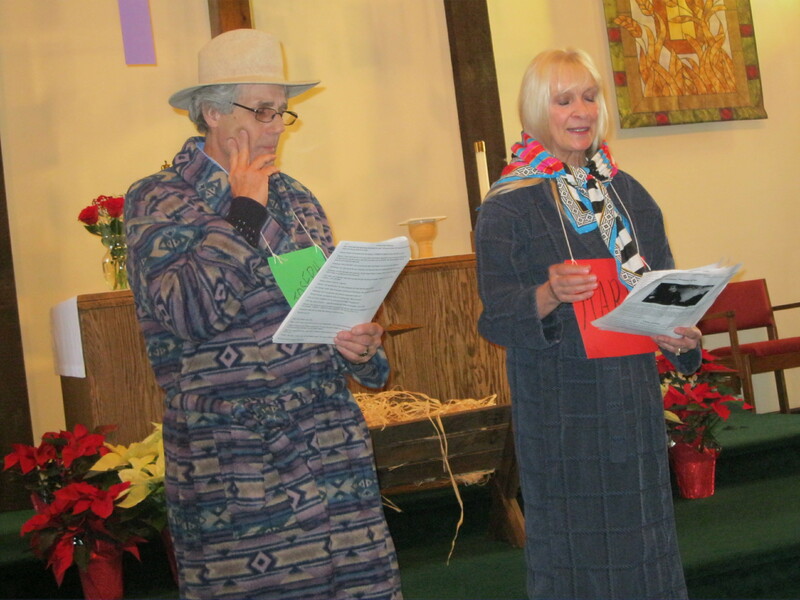 We celebrated the birth of Jesus on Christmas Eve, Sunday, December 24, at 7:30 p.m. Our traditional service included lots of Christmas music and a closing with Silent Night and candlelight. You and your family are always welcome to join us! We celebrated Thanksgiving with worship on Tuesday, November 22, at 7:30 p.m. 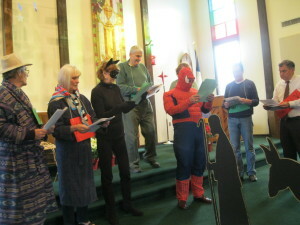 The congregations of Holy Trinity in Brunswick and Our Saviour in Hinckley joined us. We enjoyed special music presented by a joint choir and the service was followed by fellowship and pie and coffee. 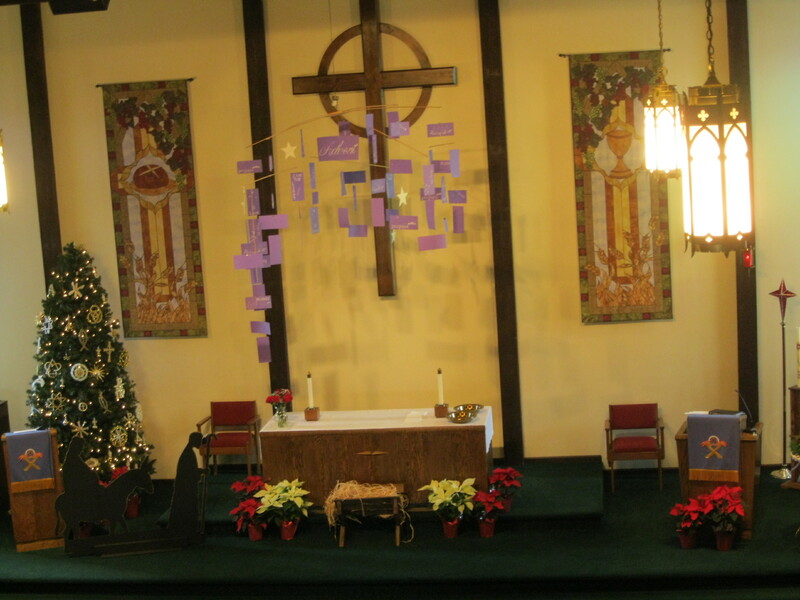 Our Advent Services will be using the Holden Evening Prayers service and a short homily and will begin at 6:22 p.m. on Thursday, December 1, 8 and 15. 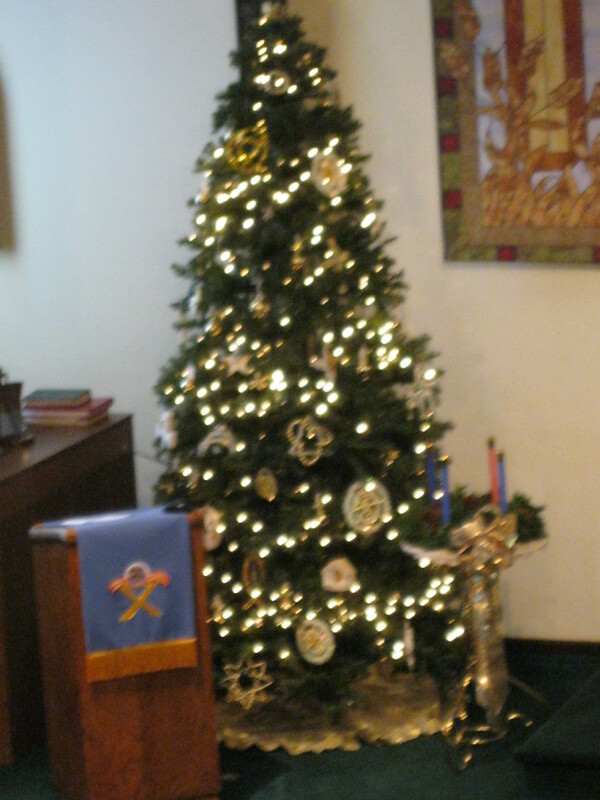 Choir rehearsal will be from 7 to 8 p.m. following the Advent service each week. We are preparing special music for Christmas and we invite all to join us in singing praises to the Lord. Our Christmas Eve Worship will be a Celebration of Lessons, Carols, Communion and Candlelight beginning at 7 or 7:30 – TBA!! 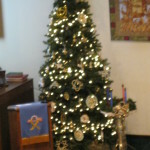 On Christmas morning we will have a short service of readings and favorite Christmas carols at 9:30 a.m.
During advent we met on Thursdays at 6:30 for a short time of preparation. We used the beautiful music from the Holden Village Evening Prayer Service, with a program containing background on some of our favorite Christmas hymns and a short homily by the pastor..
Our Christmas Eve service on the 24th and ncluded an old-English style of service with lessons and Christmas Carols, Holy Communion and candlelighting. A CHRISTMAS SUPERHERO PLAY was performed by a few of our creative members. 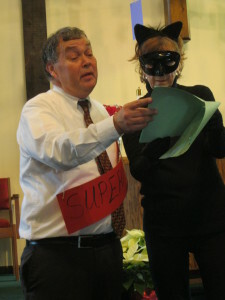 Superman, Batman, Catwoman and Wonder Woman were concerned when they learned a new superhero might interfere with their their good works. It turns out that the arrival of the baby Jesus was no threat to their powers. WITH BIBLE STUDY FOLLOWING AT 11:00 A.M.
During Lent we hold midweek services which help prepare us for Holy Week, Good Friday and the great celebration of Easter. 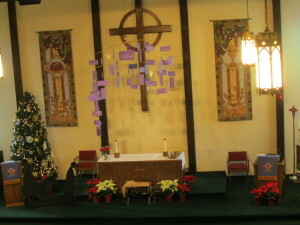 For Advent, we also hold midweek services to prepare for the birth of Christ.